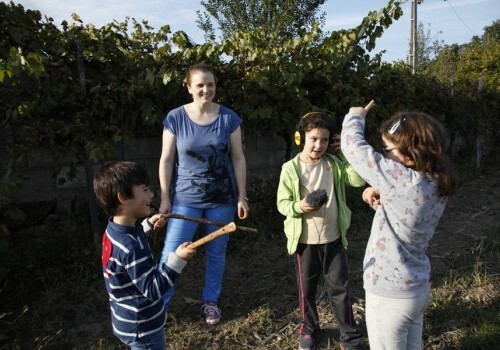 Fiinnish media/sound educator Tiina Lapola spent three weeks in October 2015 in the small portuguese rural village of Fataunços working with kindergarten, primary and intermediate school children. With the mediation and assistance of Binaural/Nodar's Manuela Barile Tiina developed a series of expressive games using sound, photo, movement and voice, all made in close connection with local surrounding landscape and enhancing the opportunity for the kids to liberare their bodies and minds in unusual ways. It was very interesting how kids with rural background, often helping their parents in agricultural activities, were not that used to touch and express themselves through nature. Tiina Lapola: Playing the Rural Landscape from Binaural Nodar on Vimeo.